This was one of my first purchases once I became interested in backpacking. I must make note here that this was a mistake. Not because of the pack, but rather because a pack is the last item that should be purchased. 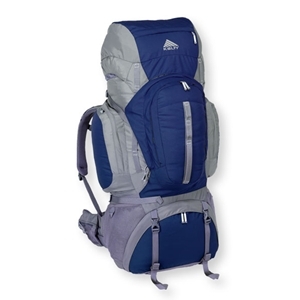 Get everything that you will be carrying and then get the pack that will hold it all, and fits you well. Saying that, overall, this pack has been a great pack. It’s a good quality pack that I didn’t break the bank to purchase (I actually found it on sale for $139). If I were to say anything bad about this pack it would have to be the weight, however, it is adequate for this pack. My full review of this pack can be read here. i’ve had my red cloud for 3 years. it hugs me like a baby hugs it mama! i reoutinley carry 50 lbs. on weeklong hikes with no problems. plenty of pockets to keep gear seprated. plenty of access points. all the plusses make up for the weight.